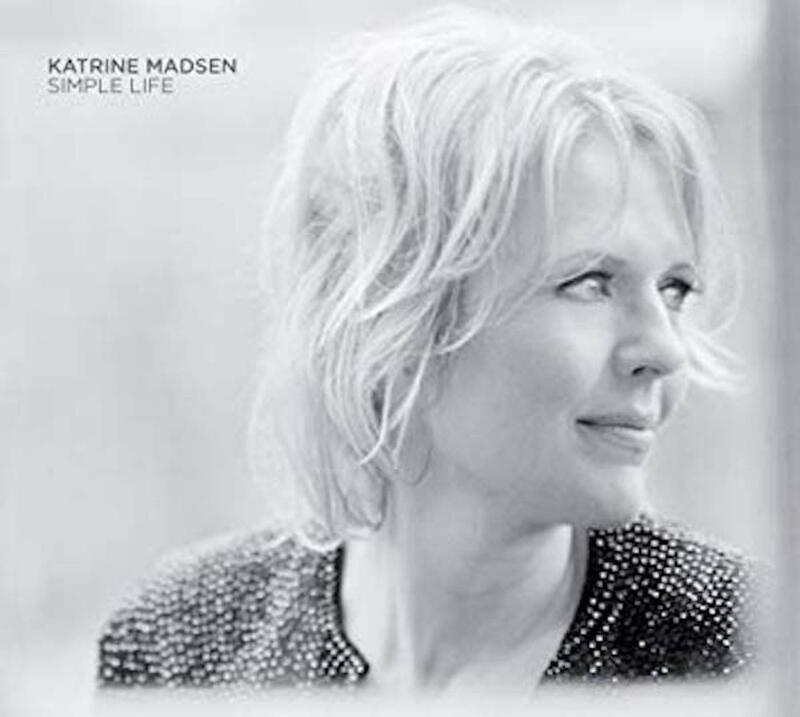 A new release by vocalist Katrine Madsen is always an exciting event. With her easily recognizable, dusty voice, her original phrasing and deeply personal approach to the essence of jazz, time and time again Katrine Madsen has taken unexpected turns and surprised audiences at home and abroad. The charismatic vocalist is not one to take radically new directions. She follows her inner voice in a perpetual process of development. Her new CD, SIMPLE LIFE, displays new, touching aspects of her talent. This is Katrine Madsen’s tenth release. Reaching the level of SIMPLE LIFE has been no simple process, but a brave and investigative journey, developing her ability to express the contents of a song. From the onset of her career, her well-developed sense of style and her aptitude for encompassing the musical space has drawn her audiences into the source of her stories. However, this talent has never been more apparent and moving than on SIMPLE LIFE. This release presents Katrine Madsen as a mature vocalist, but it also features her songwriting in nine serious and somewhat melancholic songs. Her presence is everywhere in the music. She owns these songs, and she shares generously of her interpretive talents and commitment in a music that cuts deep into the liste- ner. There is a mood of intimacy and scents and dark hues. SIMPLE LIFE is additionally enhanced by Swedish saxophonist Joakim Milder’s playing, and his beautiful, sharp and precisely balanced and supportive string arrangements weaving in and out, but never taking over. Great work! This is a perfect musical challenge for a vocalist who never ceases to develop. As always, Katrine Madsen is accompanied by her husband Jesper Bodilsen (excellent bass-playing from the very first note!) and pianist Henrik Gunde (that man always plays the right notes! ), and drummers Jonas Johansen and Morten Lund (the finest in their generation), Joakim Milder’s sax (golden sound and well- constructed solos ), and - on one tune – guitarist Ole Kibsgaard. 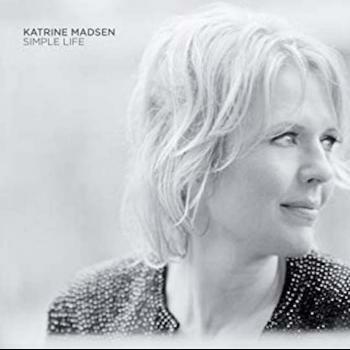 Katrine Madsen deserves kudos for her integrity, and she deserves a large audience, because SIMPLE LIFE defines Katrine Madsen as an important vocalist! "Katrine Madsen's Simple Life is undeniably her most ambitious record. Not only does it feature almost all original songs by Madsen, but also a lush setting with the autumnal string arrangements of Swedish saxophonist Joakim Milder, providing the perfect background for Madsen's voice, which manages to be seasoned and mellow and yet fresh as spring water. As a vocalist, Madsen is simply in a class of her own with a distinct phrasing that spans the register from a smoky, sensual whisper to a full-blown cry. Another notable thing is her talent as a lyricist. Songs like "Under A Gray Dusty Morning," "Wide Open Sky" and "Green" successfully combine the imagery of nature with the internal state of being. In "Eden" the symbolism of nature imagery is combined with the kind of storytelling that is so often a part of jazz standards: "There's a road leading to a little cottage way out in the outskirts/A winding bending road/He has travelled every turn to see her/Now green green leaves make it hard to pass through/As he drives drives under an April moon/Maybe it's too late too late to say goodbye/Maybe she has left a little while ago."